They've since retired from use due to the heels overlapping the back lip of the boot causing spurs to slide right off (they kind of look odd without the spurs on). I got them when I was about 14 years old. A father's surprise gift to his daughter. My Dad just came home one day from a rodeo and presented them to me. There was no special occasion that enforced it and I had no idea he was getting them. They came from a store - they were brand new! My first none-hand-me-down cowboy boots. 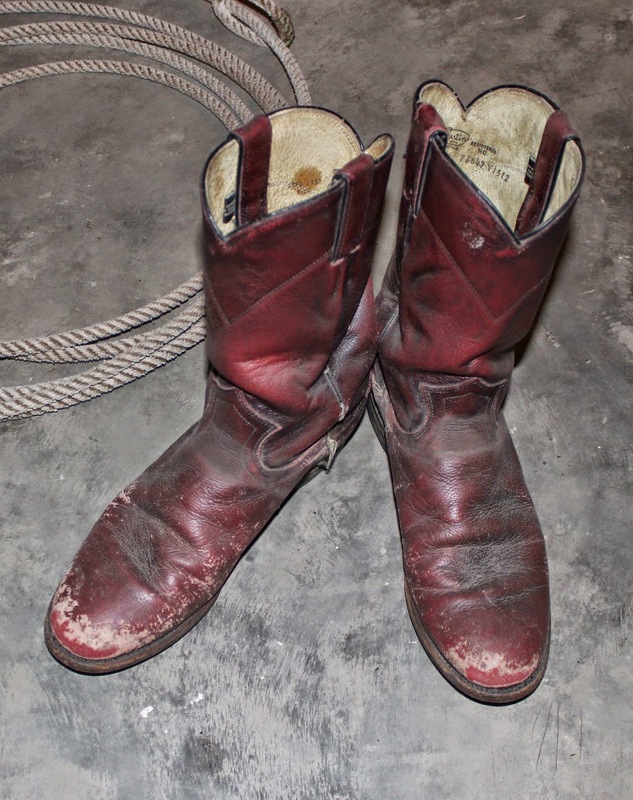 They lasted me 10 wonderful years of roping, riding, and rodeoing (I think I even did a few barrel runs and bending of poles in these in the early days). They've seen everything from manure and mud to a wedding dress. They moulded onto my feet through a decade of real hardships and true happinesses thereby making a home in my heart. 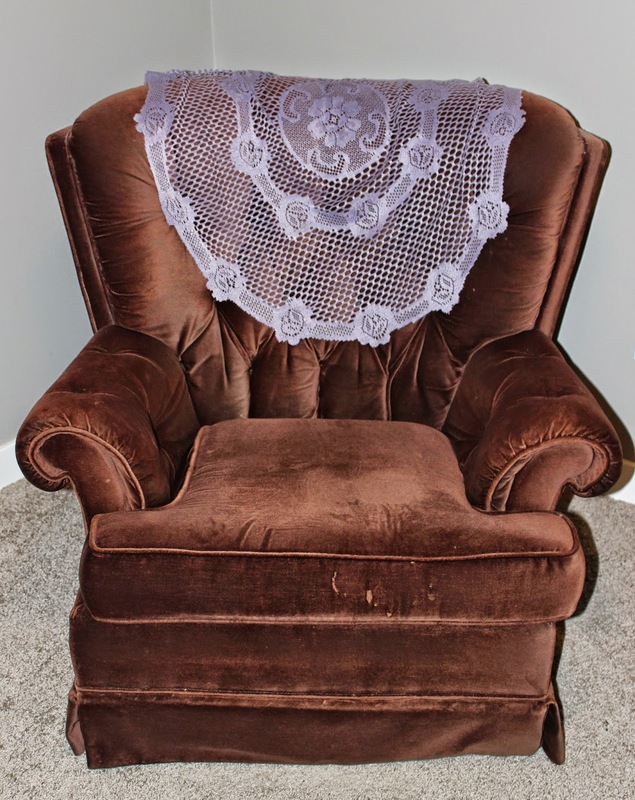 My mom used to rock me in this rocking chair when I didn't feel well, or just before bedtime. I remember the noise it made as it tipped forward and it just soothed me so well and made me feel safe and loved. It had sat unused in my parent's basement for quite sometime and I knew when I had my little one I just had to have it for her. It now sits in my little girls bedroom in the corner where she rocks and plays on it. And sometimes when she's sick or scared she'll snuggle into me as we rock. We've fixed the noise it made by adjusting where it sits, but every once in a while when I'm lucky, it slips back out and that same sound comes back when I tip forward as we rock. Also, the doily thinger on the back was on the tables at our wedding reception. It could be because it was one of my first pieces of furniture given to me when I graduated high school/moved out on my own. It could be because I redid the seat cover in a really darling paisley blue and brown fabric that I adore. It could be because we sit together for supper as a family almost every night to it and catch up on each other's day. But really, it's because the love of my life knelt down and asked me a very important question as I was sitting up to it. 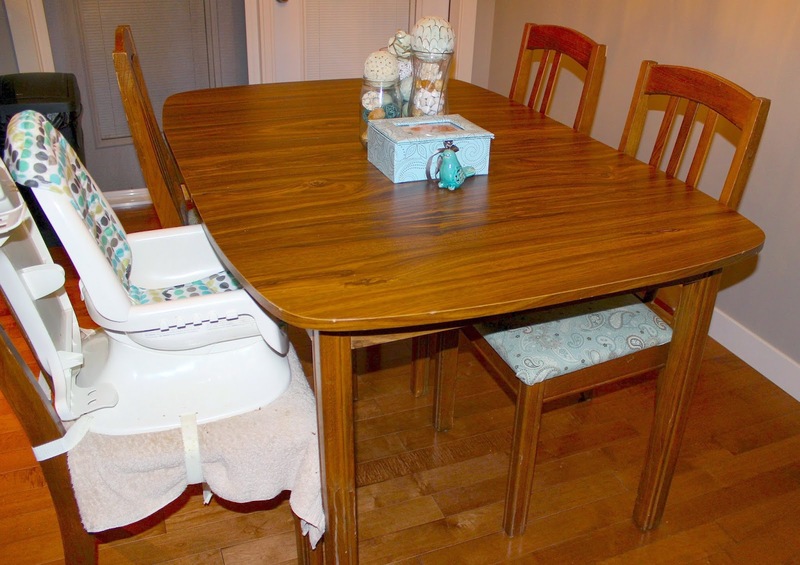 Yep, this was the table that started my very own forever.